This little Gecko is absolutely gorgeous, soft and eco-friendly. Your baby will definitely fall in love with it straight away. It also can be a nice accessory for home decoration. This is a great idea for a children gift for any occasion, such as birthday. 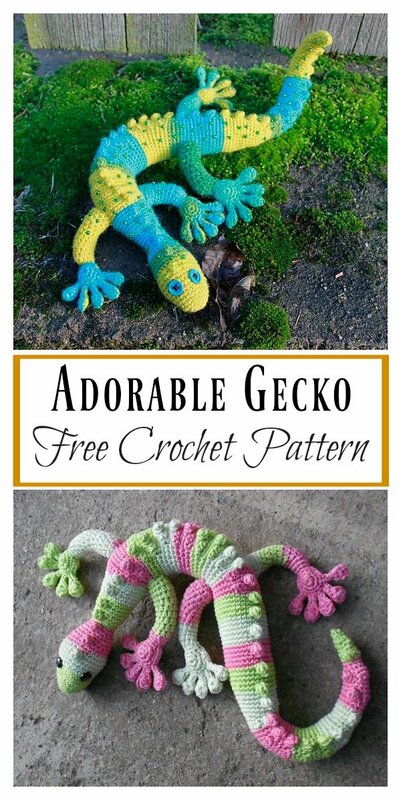 The Adorable Gecko Amigurumi Free Crochet Pattern is one of those rare patterns that will appeal to both boys and girls of all ages. The design is excellent and the color options are endless. It is a very fun and exciting crocheted project for intermediate to experienced crocheters. Have crocheting. You might also like Amigurumi Elephant Free Crochet Pattern.